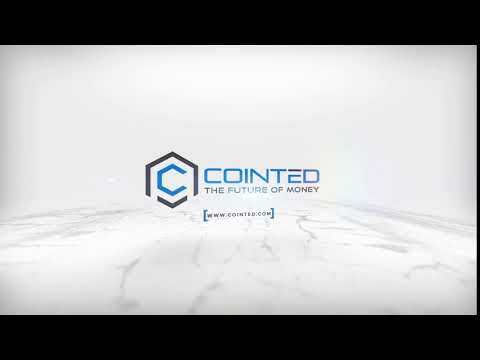 COINTED is building a bridge between the cryptocurrency world and the real world. Even though cryptocurrencies have brought a whole new dimension in creating value, consumers regularly face the same problem: how can I easily change my cryptocurrencies into fiat currency? Additionally, consumers are also looking for easier and more secure ways to get their hands on cryptocurrencies in the first place. The goal is to satisfy the demand for convenient ways to convert fiat currency into cryptocurrencies and vice versa, without abandoning safety. Already cryptocurrencies are being adopted globally by consumers and the business world alike. As a commodity that is unrestricted by national borders, we strive to build a bridge between the real world and cryptocurrencies through future-oriented products and services. Multi-Cryptocurrency ATMs, which we operate as the biggest provider in Europe. Payment Solutions, which can be integrated in online shops and existing cash register systems. Green Mining at multiple mining farms throughout Europe, keeping with our slogan "Mine green and save the planet". Only through environmentally friendly mining with hydro- and wind power a sustainable growth of the blockchain can be ensured. Additionally, we are currently in the final stages of acquiring a banking license. Other upcoming requirements from authorities are also being evaluated in order to have a legal framework in place. Many ICOs and successful project do not have even a working product. This is a company that has been operating for 3 years, making it less risky than many other projects. They have a transparency report with excerpts of invoices and contracts to back up their claims. Fiat to crypto exchanges undergo quite a lot of regulation and follow the same AML practices like KYC that banks do. No info about roadmap, bad representation allaround. I stumbled upon this project since it is from my home country. What I want to say is that I disagree with most comments here. People seem to be randomly voting just so they can mix this up with paid votes. Team 5: Nearly none other ICOs have been there as long as Cointed. Also nearly nobody has a real team as big as theirs. Vision 5: They have so many different ideas about blockchain products, that only someone who has not seen their whitepaper can vote them less. Product 5: This category I nearly voted 4, since they have so many products, that the focus might be lacking. On one hand they have working and profit generating ATMs and Crypto Exchange. On the other hand, they state something about Payment processing devices and bitcoin debit cards, on those I just found not enough info about the status. As icobench says, do your own research before believing what others say.